The official weigh-ins for “UFC 160: Velasquez vs. Bigfoot II” take place today inside MGM Grand Garden Arena in Las Vegas, Nevada. Stream Friday’s weight contest live right here on 5thRound.com starting at 7PM ET/4PM PT. 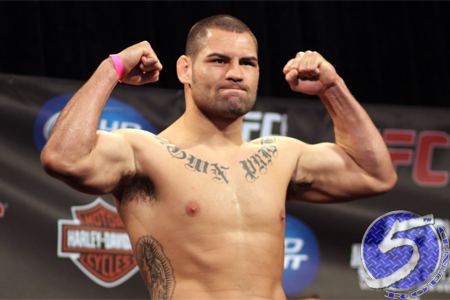 Heavyweight champ Cain Velasquez (pictured) makes his first title defense under his second reign against a familiar foe in Antonio “Bigfoot” Silva. Velasquez easily disposed of the Brazilian just 12 months ago. Former champion Junior dos Santos and Mark Hunt serve as the co-main event.